8 year old Gabi Mann recieves gifts from the crows she feeds around her home. It is an incredible relationship with remarkable implications. Gabi Mann has a unique and special relationship with the crows around her Seattle, Washington home. Everyday, the eight-year-old fills the birdbath in her yard with freshwater and covers the bird feeder platforms with peanuts. Gabi also scatters dog food in the grass around the feeders. Afterwards the crows, who watch expectantly on nearby lower set telephone lines, consume the offerings. The crows bring their “gifts” as soon as the feeders are cleared of food. The gifts left by the crows include countless astounding surprises that must be seen to be believed. Gabi has assiduously collected and cataloged all the presents left by the crows, with the help of her mother, Lisa Mann. Gabi’s collection includes pieces of shiny glass, a silver charm, buttons, metal screws, as well as an abundance of other notable items. Ghosts of the Thylacine: Tasmanian Tiger Spied in the Queensland Wild? What’s more, since beginning this endeavor in 2013, the relationship between the crows and Gabi has expanded to include other members of the Mann family. In one highly notable instance, her mother Lisa lost a lens cap while photographing Bald eagles near their Seattle residence. The lens cap was found in no time, sitting on the bird feeder. To investigate the recovery of her lens cap, Lisa checked the surveillance camera feed – they had installed the camera to further document the birds’ behavior. Lisa watched the recording and incredibly observed a crow bringing the cap back, even washing it in the bath before leaving it on the bird bath. Katy Sewell A sampling of the gifts left by the crows. Lisa Mann Gabi Mann with her crow friends after a feeding. 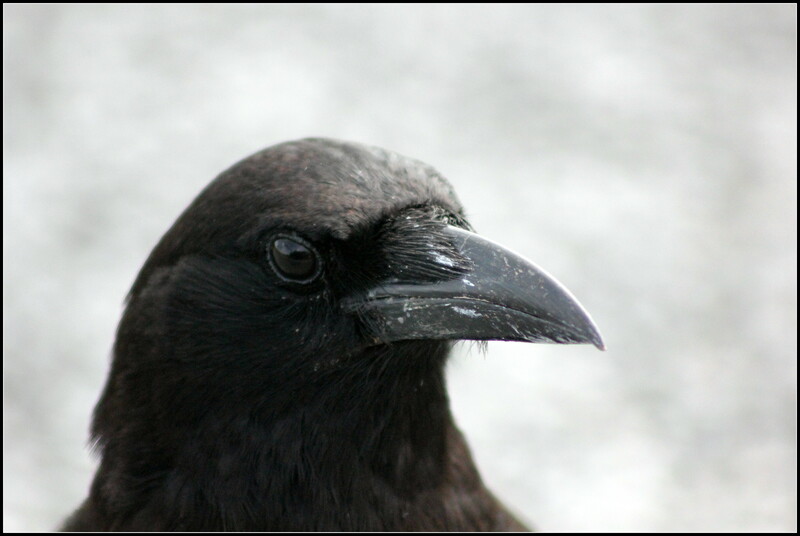 The intelligence of crows and other corvids have been researched and well documented in scientific literature in recent years. Gabi’s relationship provides another wonderful example of the complex thinking of these animals that throws the term “bird-brain” out the window.